For more information on 4090 Pebble RD, Las Vegas, NV 89139, Call Lori Ballen and Associates at 702-604-7739. 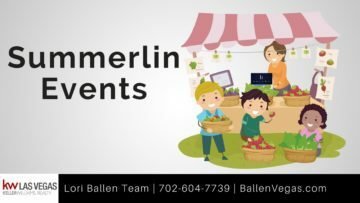 Each year there are dozens of events taking place in Summerlin. To enjoy them, you will need a Summerlin residents card to gain access to community centers where many of these events take place. Here’s a list of events. 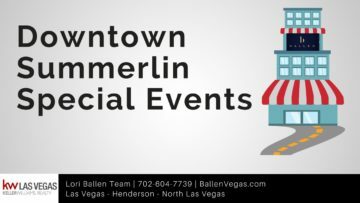 There are many Downtown Summerlin Events to enjoy this year. From Fitness on the Lawn to Bollywood Dancing to the Annual GREENfest, Downtown Summerlin offers sun and fun for the entire family. Here’s a list of events to get you started.